Analogue equipment was the forerunner to digital in the recording industry, studios were built on mixing consoles, tape machines, high end rack mounted outboard equalizers and compressor, miles of cabling and produced very high quality recordings before the advent of the digital audio workstation. I often see forum posts about mastering with plug ins only and thought I would write a short post about my own experience with analogue mastering. I use both analogue and digital equipment here and can share my insights on this matter. I bring attention to the word “good”… I believe that the best mastering jobs tend to include the use of high end analogue equipment, in a nutshell analogue mastering tends to sound better, I am going to explain my reasoning. 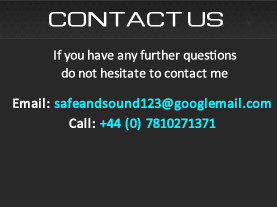 I have been lead to believe this through my own experiences with the equipment I use in the mastering studio. Digital plug-ins have a sole purpose and that is their primary corrective application, commonly tonal correction, dynamic manipulation and stereo image manipulation. High end analogue equipment tends to have dual purposes to my mind, the first is the primary corrective application and second is the attribute of subjective enhancement that a “live” electronic circuit is capable of imparting on music. Music passing through a device is essentially the flow of electrons and the interaction with the component count of that circuit, what comes out the other side is a combination of intentional parametric change and secondary character. There is also an issue of drive (signal level passing through the analogue mastering rack) and such circuits can introduce slight distortions and non linear characteristics that create small but noticeable subjective improvements. An electronic circuit can involve both active and passive components which can influence the sound and also create minute differences between the left and right channels. (typical in a mastering situation). The type of components common to electronic circuits are resistors, capacitors, inductors, diodes, transistors, integrated circuits, valves and transformers. Each plays a design role within the circuit to achieve a practical circuit design objective. This creates a very much alive signal path with both known qualities and slight disparities and it is this that I believe that makes the differences between digital and analogue processing. There are numerous words that musicians and engineers ascribe to the sound of analogue processing… warm, thickening, wide, 3 dimensional and glue etc. It is subtle but it is the last detailing that can set the production apart from others, it produces a sensation of things being just right and in many instances can cost very little more than digital mastering alone. Components in a circuit interact and create a sum greater than their parts. I believe this makes a tangible difference when mastering music. Analogue mastering is still capable of what digital is not. I tend to use digital processing for narrow/surgical equalization jobs and for when the gain controls on an analogue unit are too coarse. 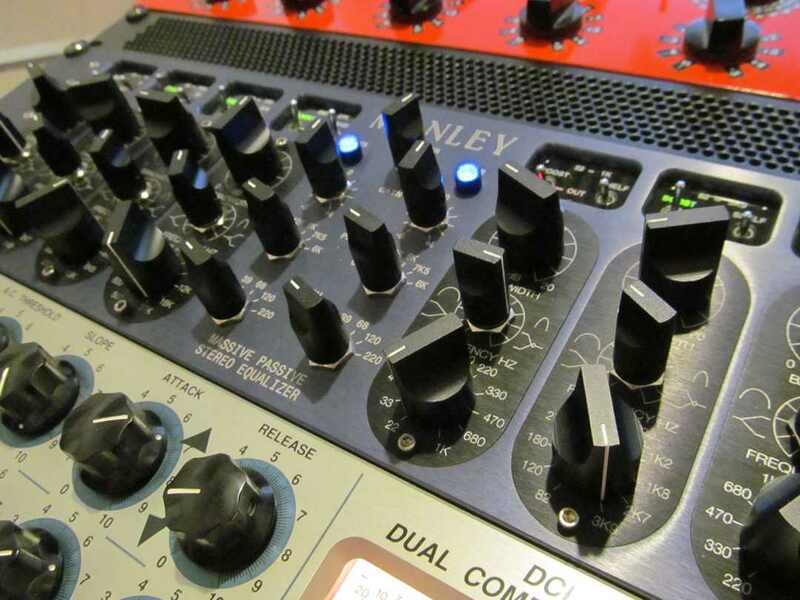 I use both the Manley Massive Passive and a custom built (stepped switched) Sontec circuit based equalizer for broader equalization and tonal adjustments. Each eq is used slightly differently.. the Massive Passive has immense strengths in the mid range (and extreme highs) and the Sontec has well focused and defined highs and lows. So knowing what the equipments strengths are helps put the right eq in the right place of the spectrum/music. Similarly with compressors, I have yet to hear any digital compressor or analogue emulation have the same dynamic response as a good analogue counterpart. This is before the extra secondary benefits unique to each device are imparted. Digital signal processing has had a good attempt at emulating some of the best analogue circuits out there. If digital was satisfactory why would this be the case ? Personally I have tried lots of emulation software and to date still have not found that extra “Je ne sais quoi” that analogue imparts to my work at the studio. There is no doubt that high end analogue mastering requires an investment in monetary terms, this equipment is not cheap but I do believe that in order to perform the best possible mastering it is essential. I do not want to be left wanting and I do not want my clients to feel that way either so I am proud to employ some of the best analogue equipment in the studio here. I like to think that my clients feel by making that investment I take their music seriously and give it that final last push it deserves before it makes it out into the world of listeners.